Minimum Age limit for all categories is 18 years. Maximum age limit for general candidates is 35 years. For 2A, 2B, 3A, 3B candidates is 38 years. For SC/ ST candidates is 40 years. 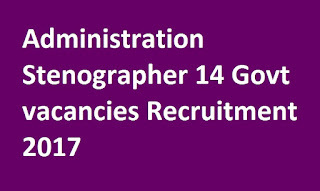 Selection for this Stenographer Jobs in Karnataka Municipal Administration Recruitment is based on Typing Test/ Shorthand Test. Typing Test: 10 minutes each. Shorthand Test: 10 minutes each. Total number of mistakes divided by 2 will be deducted from 100 marks. Go through the notification for detailed selection process. Interested/ Eligible candidates have to visit the official website of Karnataka Municipal Administration www.municipaladmn.gov.in. 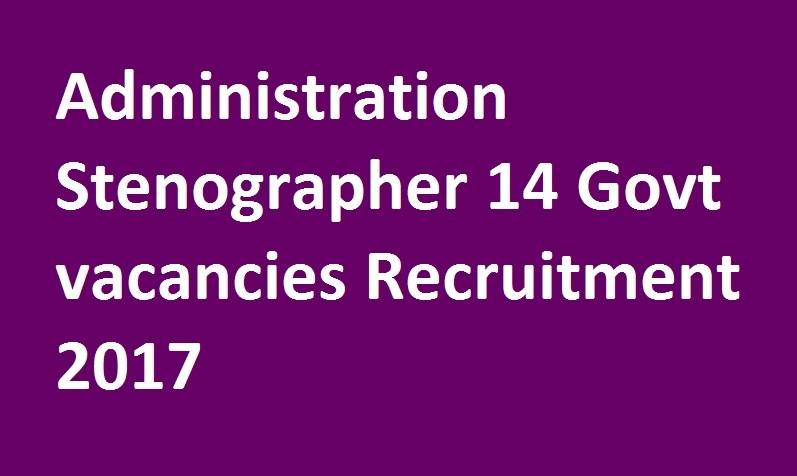 Read the general instructions and apply for Stenographer jobs. Last date to send application form to the office of Directorate of Municipal Administration, Bengaluru before 18th December-2017.